The Chicago Bar Association has extended the deadline for persons interested in applying for its Judicial Evaluation Committee to February 17. The CBA says it is looking for help with the JEC's Investigation Division. Applicants must be CBA members with at least a "few years of experience." To obtain an application, click on this link. Complete the form and either email it back to Therese Kurth at tkurth@chicagobar.org or fax it to 312-554-2054. Applicants will be contacted by a representative of the CBA JEC after February 17. Joyce Williams, the Alliance Administrator, said the Alliance of Bar Associations for Judicial Screening is also looking for more investigators. Interested members of any Alliance bar group should contact their own JEC committee to volunteer. Email Joyce Williams at jwilliams@isba.org if you have any questions. While every bar group has its own procedures, in general, JEC investigators are assigned one or more candidates (or applicants for Associate Judge) and asked to follow up on the various disclosures made in the lengthy applications. JEC volunteer investigators call the persons that the candidate has listed as references, as his or her opponents in various cases, and otherwise follow up on the disclosures the candidate has provided. This results of the investigation are reported back to respective JECs and serve as the basis for the candidate interviews that the CBA or Alliance will eventually conduct. The application window for the next class of associate judges closes February 8, so new JEC volunteer investigators are likely to have the opportunity to participate almost immediately. However, as the old saying goes, many hands make light work... and, if more incentive is required, if you search the archives here, you will note that a great many judges began their ascent to the bench as a JEC member. The Illinois Supreme Court today appointed Travis Richardson to the Second Subcircuit vacancy just created by the retirement of Judge John D. Turner, Jr. The appointment is effective February 14 and will expire on December 3, 2018. Richardson was, until recently, a partner in the firm of Richardson & Mackoff (his partner, Myron F. Mackoff, left the firm in December to take up duties as a Circuit Court judge from the 8th Subcircuit). Richardson was a candidate for a 2nd Subcircuit vacancy in the 2016 Primary, garnering the Tribune's endorsement and a "Well Qualified" rating from the Chicago Council of Lawyers in the course of his campaign. 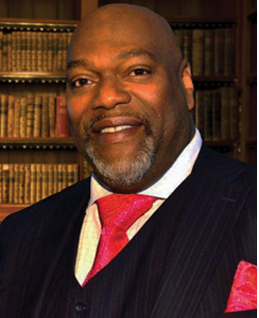 A graduate of the University of Pennsylvania and the University of Michigan Law School, according to his firm biography, Richardson has been licensed as an attorney in Illinois since 1997. What follows is not a comprehensive list of Cook County judicial vacancies but, rather, a list of vacancies that have either been filled by Supreme Court appointment or for which an application process has been announced or that I am pretty sure exist even though no announcement has been made. There are, I realize, other vacancies which the Supreme Court has neither filled nor announced; a number of these have been suggested in comments to posts on this blog. And there will be additional vacancies, and additional appointments between now and late fall when the Illinois State Board of Elections posts an authoritative list of judicial vacancies in anticipation of the 2018 primary. Thus, this list will be updated from time to time. But I have to start somewhere. As always, all errors of omission or commission in this list are mine alone and I am grateful for additions and corrections provided. A typical tort case turns on insurance. The defendant's attorneys are paid by an insurance company; the settlement or verdict will be funded by an insurer. In multiple-party cases, the allocation of fault may take a back seat, for settlement purposes, to the allocation of available insurance proceeds. To some extent, insurance drives the civil justice system. But not every defendant in the civil justice system is insured. Not every claim is covered. While it might be possible to plead most tort claims into coverage, there is no way to find even potential liability coverage for many contract claims. Now and again a vengeful plaintiff will deliberately plead only intentional acts in an effort to prevent liability coverage from attaching. I don't pretend to know what the percentage is of uninsured defendants in the civil justice system at any time. I'm sure it fluctuates. And also varies according to the type of case. But the class of uninsureds includes both individuals and small businesses. The growth in pro se litigants is fueled, in no small part, by the fact that the perceived and/or actual cost of legal services is so high that legal representation is beyond the means of most uninsured litigants. Only wealthy individuals and prosperous small businesses can afford lawyers, or think they can. Judges see pro se litigants very clearly. They may not see, or notice, the uninsured litigant who begins with counsel and unrealistic expectations about how quickly their case can be resolved. Time passes, money is spent, but the case continues. The relationship sours. The court's first real notice of this type of uninsured litigant may not come until the unpaid lawyer is reduced to withdrawing (what we call, in the old Gaelic, a motion in gelt). Has the lawyer overcharged... or overpromised... or underperformed? Maybe. In some cases. Maybe the client's unrealistic notions of how fast his or her attorney can move a case without the active cooperation the court and opposing counsel is to blame. Maybe the client just flat runs out of money. The point is that the civil justice system, properly functioning, should be on the lookout for uninsured litigants from the earliest stages of the case. Some provision must be made to expedite their cases so that they can have the benefit of representation and not (necessarily) have to wind up staring into the abyss of bankruptcy. When the motion in gelt is presented, it's too late for the court to do much good. This is a basic access to justice issue: Can real people hope to achieve a fair, appropriate resolution of their cases in our civil justice system when they are sued and do not have insurance? In coming posts I will share some ideas I have on this topic. The American Tort Reform Foundation has issued its annual Judicial Hellholes report and, no surprise, Cook County once again ranks high (#6) on the list of jurisdictions of which the tort reform group has a low opinion. Cook County is once again grouped with Madison and St. Clair Counties in the Judicial Hellhole Report because (p. 29) "all three are jurisdictions where no civil defendant wants to face a lawsuit." Really? In which jurisdiction would anyone want to be sued? I have had the privilege of litigating cases in Illinois counties other than Cook -- and not just in the collar counties either. In no case, in Cook County, in a collar county, or Downstate, have I ever hear a litigant say anything remotely along the lines of "here is where I like getting sued." More specifically, ATRF points out (p. 29), "Cook County hosts roughly two-thirds of Illinois’ major civil litigation, even though only about 40% of the state’s population lives there." The embedded link takes Hellhole readers to a Illinois Civil Justice League report from April 2015 titled "Litigation Imbalance III" and subtitled "Revealing Trends in Court Dockets Demonstrate Lawsuit Abuse in Select Counties." I perused it to find out what the American Tort Reform Association (and Foundation) mean by "major civil litigation." Near as I can tell, major civil litigation is another way of saying Law Division cases. In other words, not just tort cases, but commercial cases, contract cases and collection cases, too. There is no commodity litigation outside County Cook; Downstate farmers who try and hedge their risks in futures trading are required to litigate their disputes in Chicago. All sorts of disputes arising from national and international trade can be heard in Chicago; these are not likely to be properly venued in courts Downstate. If anything---and this is not just my perception, but something I've heard from other attorneys---tort litigation in the Circuit Court's Law Division is down, way down, in Cook County, and has been trending down for years. One 'evergreen' area of litigation is medical malpractice. And Cook County has more than its share, arguably, until one considers the fact that all the teaching hospitals are here, and most of the top specialists, too. With all the good things that can happen here, it naturally follows that bad things can happen, too. Nor should it be any surprise that we have developed in Cook County a small cadre---a very small cadre---of extremely good, extremely specialized medical malpractice attorneys. So when the Hellhole report cites (p. 30) "Deiderich Healthcare’s latest annual data on medical liability payouts [showing] that Illinois again led its Midwest neighbors with $258 million in 2015" ($49.7 million more than 2014's total), I can't do more than shrug: Where the most, and most complex, medicine is practiced, it only stands to reason that the largest medical malpractice payouts will be there, too. But... did you notice? The cited figures aren't broken down by county; we can't tell, from this, how much of this total is properly allocated to County Cook. I'm sure it's a goodly percentage... but it's not 100%. And the Hellhole report takes an unfair swipe at the Cook County bench, too (p. 30): "Cook County judges deemed unqualified by the bar have nonetheless been retained in elections again and again." The first "again" is linked, in the Hellhole report, to a 2004 letter to the Tribune from former CBA President Roy E. Hofer; the second is linked to a 2010 Tribune article. Not exactly a snapshot of the current bench. Anyway, having singled out Judge Lynch, the Hellhole report notes that the Chicago Council of Lawyers rated him "not qualified" in the 2016 retention election. "Imagine that," sneers the Hellhole report (p. 31), "sleazy lawyers don't like an 'unorthodox' judge who acts against and seeks prosecutions of those who perpetrate fraud on our civil justice system.... [V]oters who share Judge Lynch's position on lying, cheating and defrauding the courts overwhelmingly returned him to the bench." Inconsistency is no bar to criticism in the Hellhole report. And, of course, the Hellhole report mentions Rhonda Crawford as "the latest major embarrassment." But that was one race, in a weird, even unprecedented, set of circumstances. The legitimate criticisms that could be made about the civil justice system in Cook County and elsewhere are drowned in a sea of exaggeration. But there are legitimate criticisms to be made of our civil justice system -- issues of cost and expense that have become so extreme that equal access to justice and even the fundamental fairness of the system itself is placed in jeopardy. I hope to offer my take on these issues in a series of future posts. Attorneys interested in applying for Associate Judge have until 5:00 p.m. on February 8, 2017 in which to submit their applications (emailed applications will be accepted until 11:59 p.m. on February 8). Seven AJ vacancies currently exist, according to the Notice from Cook County Chief Judge Timothy C. Evans now running in the Chicago Daily Law Bulletin. There will almost certainly be more before this current process concludes. I believe this marks the first time where applications may be submitted electronically. Two different forms of the application for the Cook County vacancies are available on this page of the Illinois Courts website (don't download the DuPage County form by mistake). Forms are also available from the Chief Judge's Office or from the Chicago office of the Administrative Office of the Illinois Courts, 222 N. LaSalle Street, 13th Floor. Completed applications which are not emailed can be returned to the Chicago AOIC office. Anyone who's ever submitted one of these applications will see the humor in this statement (from the official announcement, so help me): "Applications will not be accepted if submitted via facsimile." In an order entered yesterday (but not posted until this morning), the Illinois Supreme Court appointed Assistant Cook County Public Defender Joanne F. Rosado to the 11th Subcircuit vacancy created by the recent retirement of Judge Kathleen Kennedy. Rosado's appointment was made on the recommendation of Illinois Supreme Court Justice Mary Jane Theis. The Court's press release announcing the appointment, posted this morning, can be accessed here. The appointment is effective January 20 and terminates December 3, 2018. According to the Supreme Court's press release, Rosado joined the PD's office in 2002, and has worked in the Child Protection Division, Felony Trial Division and the Multiple Defendant Division. 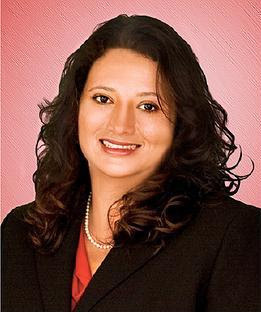 Rosado was also a sole practitioner in Rosemont from 2002-2010. She has been licensed in Illinois since 2002. Rosado previously sought an 11th Subcircuit vacancy in the 2014 Primary. She was passed over by slatemakers for an 11th Subcircuit seat in the 2016 election cycle, but was named an alternate. In an order entered yesterday (but not posted until this morning), the Illinois Supreme Court appointed Cecilia A. Horan to the countywide vacancy created by the pending retirement of Judge Russell W. Hartigan. Horan's appointment was made on the recommendation of Justice Mary Jane Theis. The Supreme Court's press release concerning the appointment, which was issued this morning, can be accessed here. The appointment is effective January 19 and will terminate on December 3, 2018. 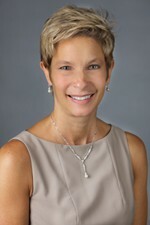 Horan is a partner with the Chicago office of Hinshaw & Culbertson LLP, joining the firm, according to her firm biography, upon graduating from law school in 1997. Horan is also the current President of the Lesbian and Gay Bar Association of Chicago. Updated with photo and additional information 1/11/17. The Illinois Supreme Court today entered an order appointing Assistant State's Attorney Stephanie K. Miller to the 6th Subcircuit vacancy created by the retirement of Judge Robert Lopez Cepero. Miller's appointment is effective January 30; it expires December 3, 2018. According to ARDC, Miller has been licensed in Illinois since 1999. Miller serves as a member of the Board of the Lesbian and Gay Bar Association of Chicago. According to a biography posted on the LAGBAC site, before joining the State's Attorney's Office, Miller served as an Assistant Public Guardian. She is also, according to the LAGBAC bio, a co-founder of the National LGBT Prosecutor’s Association, the treasurer of the National Hispanic Prosecutor’s Association, and the LGBT committee chair for the Hispanic Lawyers’ Association of Illinois. The Lopez Cepero vacancy has been pending now for some time. Illinois Supreme Court Justice Anne Burke posted an application for this process last January. Illinois Supreme Court Justice Mary Jane Theis has announced that her screening committee will consider applicants for new Circuit Court vacancies in the 2nd and 4th Subcircuits. The links in the preceding sentence will take you to the Court's press releases announcing the application processes. Attorneys interested in either vacancy must submit their applications by 4:00 p.m., Friday, February 3. Applications can be requested through the Illinois Courts website (or click here to request 4th Subcircuit application; click here to request 2nd Subcircuit application.) Applications may be submitted by email to lmarino@illinoiscourts.gov or by regular mail to Supreme Court of Illinois, Attn: Ms. Laurie Marino, 160 N. LaSalle Street, Suite N2013, Chicago, IL 60601. Applicants must reside in the subcircuit from which they seek appointment. Persons who have previously completed an application for Justice Theis's special screening committee must nevertheless complete and submit a new application. The 2nd Subcircuit vacancy is created by the pending retirement of Judge Camille E. Willis; the 4th Subcircuit vacancy is created by the retirement of Judge Thomas Davy. Justice Theis's screening committee is co-chaired by retired U.S. District Court Judge Wayne R. Andersen and retired Illinois Appellate Court Justice Michael J. Gallagher.